News that European intelligence agencies are searching for a so-called "clean-skin" al Qaeda operative with a European passport should not be surprising. It has long been the ultimate terrorist weapon: a convert with no previous convictions, who is not "on the radar" of intelligence agencies. Yemen is currently a go-to destination for young Jihadis and al Qaeda in the Arab Peninsula seeks to host clean-skins as it continues to attempt to attack the West. 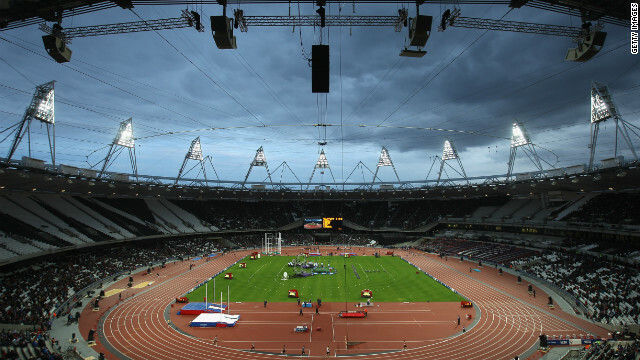 But there is no suggestion that this alleged plot is connected to the Olympics and the perpetrators may already have put their plans on hold, worried they are about to be discovered amid widespread news coverage. Editor's note: Raffaello Pantucci is an associate fellow at the International Centre for the Study of Radicalisation (ICSR) and the author of the forthcoming "We Love Death As You Love Life: Britain's Suburban Mujahedeen" (Hurst/Columbia University Press). 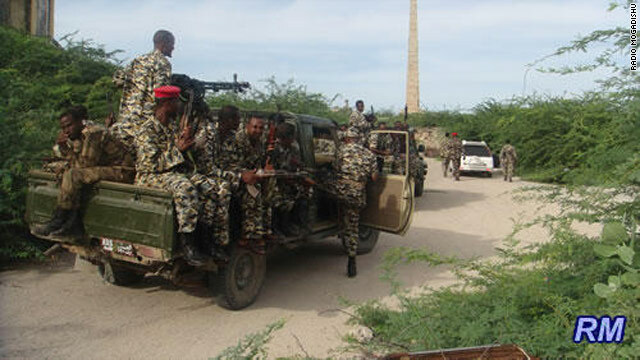 Friday's conviction of Shabaaz Hussain, a former British teaching assistant for donating thousands to Al Shabaab is just the latest reason the Somali terrorist group is increasingly a priority for British security services. 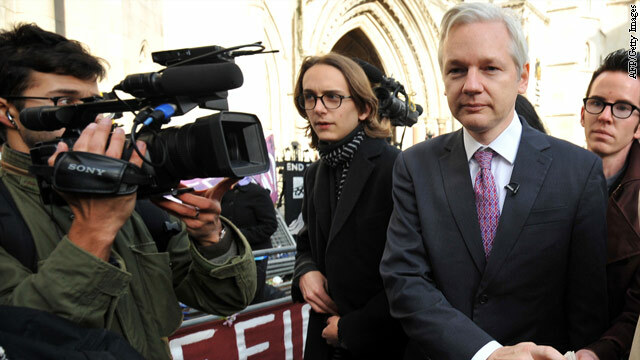 WikiLeaks founder Julian Assange has been 4,000 miles away from the military courtroom where Army prosecutors have rolled out their espionage case against Pfc. Bradley Manning. But Assange's name has come up repeatedly and his lawyers have been in the third row of the spectator pews in the Fort Meade, Maryland, courthouse, listening to as much as they can and fighting to gain additional access. It is one of the bizarre legal twists in this complicated case that the man responsible for posting the secrets Manning allegedly stole is fighting to be able to listen in, through his lawyers, to details of the leaked documents. The government still considers those documents so secret that it repeatedly closes the courtroom to journalists and the public, and holds many discussions in the judge's chambers. 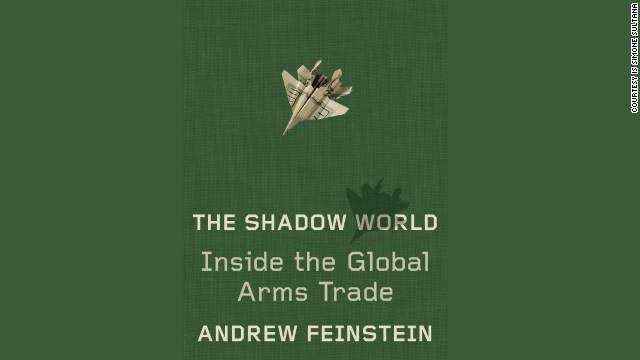 Andrew Feinstein's new book "The Shadow World" uncovers the inner workings of the global arms trade. Written with an insider's tone, the book describes backroom weapons deals, including an arms deal between the British and Saudi governments and the guns-for-diamonds deals in Africa. Feinstein was a member of the African National Congress from 1997 to 2001, resigning when the ANC declined to investigate corruption claims regarding a major South African arms deal. Feinstein is an Open Society fellow and the founder of Corruption Watch in London. Feinstein e-mailed with CNN.com about how the arms trade has mushroomed since World War II, its role in the Arab Spring uprisings, and what he thinks can be done about all those unchecked weapons in Libya. CNN.com: What is the global arms trade? Feinstein: It is the trade in conventional arms, so not (weapons of mass destruction), but everything from small and light weapons to aircraft carriers and jet fighters. It accounts for sales of about $60 billion a year on average, and is responsible for around 40 percent of all corruption in all world trade. CNN.com: Why is it important to understand the distinction you make in your book between government to government trading and illicit weapons dealing? What is the "grey market?" Feinstein: Governments and defense contractors argue that the government-to-government trade is "clean," whereas in fact it is riven with corruption, and also supports the illegal or black market trade. The grey market is where governments attempt to influence foreign policy covertly through the use of illegal dealers to undertake arms transactions on their behalf. A well-known example would be the Iran-Contra deal, perhaps the most cynical arms deal of all time. CNN.com: Your book isn't an academic history, though you do explain how and why the military industrial complex grew after World War II. Your book is mostly packed with thriller-type stories about arms dealers and corrupt government officials, backroom wheeling and dealing. Much of that is based on top secret information you obtained. How did you manage to get that information? Feinstein: The book is intended as an accessible, narrative account of the trade that is hopefully entertaining to read. But it is also backed by extensive research – there are between 2,500 and 3,000 endnotes in the book for anyone who wants to check where any piece of information was sourced. This information came from a wide variety of sources: interviews with arms dealers who have never been reported on or interviewed before, massive investigation archives that have not been in the public domain, whistle-blowers and publicly available sources. CNN.com: You joined the African National Congress during Nelson Mandela's administration when you were a student and you resigned in 2001 when the ANC wouldn't investigate a major arms dealer. Was this your first up-close introduction to the world of arms dealing? What was that experience like? Feinstein: That's correct. I was committed to the ANC from the mid-1980s when it was still a banned organization in South Africa. After working as a facilitator in the negotiations that led to our first democratic elections in 1994, I became a Member of Parliament for the party in those elections. It was an extraordinary experience to serve under Mandela but it was disappointing how quickly his successor adopted the tawdry norms of global politics. The point at which the ANC lost its moral compass was when they decided to spend $10 billion on weapons the country didn't need, and barely use today, with $300 million in bribes being paid to senior politicians, officials and the ANC itself. My financial oversight committee was stopped by President Thabo Mbeki from investigating this corruption, which led to my resignation, and the writing of a book on the deal and its devastating impact on South Africa's young democracy. It was a sad time for me personally and politically, as I saw at first hand how an extraordinary liberation movement was prepared to undermine the democracy it had created to protect its leaders from the consequences of their corrupt behavior. It was also the first of myriad grand corruption scandals in the country and the demise of the early years of hope. A top British official accused elements of Iran's government of being involved in this week's storming of the British embassy buildings in Iran. In an interview airing on CNN International at 1pET, the British Under-Secretary of State at the Foreign Office Alistair Burt said that the attack was a deliberate provocation. "The people who were involved are known to have connections with elements of the regime. Again, Iran is a divided, conflicted leadership," Burt said in the interview. "It is clear that not all parts of leadership were involved. But nothing like that happens in Tehran without leadership being involved in some way." Burt also noted that the attacks happened in "two separate places simultaneously." In response to the storming of the compounds, Britain has closed its Tehran embassy and ordered Iran shut its embassy in London.